Already in the 1780s, while in Pressburg, Pleyel had toyed with the idea that it would be a good thing to be his own publisher. As early as 1786 he wrote to Pressburg, that he "would become his own publisher and provider". The newspaper Pressburger Zeitung wrote: "Unconscionable piracy and corrupt editions of my work have thus far completely robbed me of the fruits of my labour. Manuscripts of various origins have been found and mixed up, and [...] have been printed without my consent [...]. [...] These deplorable conditions have pushed me to become active in the future as publisher and distributor of my work". With the encouragement of his family Pleyel now finally decided to become his own publisher. He sold his country estate and moved with his family to Paris in the spring of 1795. Now Viennese classical music was being played in the heart of Paris. Once again the master from Ruppersthal laid a foundation stone, this time for the "Concerts olympiques", later to become so popular. In 1797 he founded, together with his brother-in-law Daniel SchÃ¤ffer, the publishing house "Chez Pleyel" in the rue Neuve des Petits-Champs. This business, in the years of its existence, edited the imposing number of approximately 4000 musical works. Pleyel not only printed the works of his teacher Haydn, but those of his contemporaries, such as Beethoven, Mozart, Hummel, and Onslow; he was especially active in the dissemination of the works of Boccherini. In 1801 Pleyel published the "Collection complète des quatuors d'Haydn, dediée au Premier Consul Bonaparte". The first edition included 80 string quartets, then a follow-up with two quartets, and finally one more. 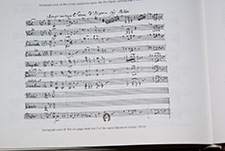 Among Pleyel's pioneering efforts was the invention of the pocket score in the series "Bibliothèque musicale", beginning in 1802 with the edition of four of Haydn's symphonies, and followed by ten editions containing his string quartets. Thereupon Haydn composed the following letter to Pleyel on 6 December 1802: "I am very grateful for the unusually beautiful edition of the quartets, which you have sent me via Herr Pichl: for their beautiful engraving, for the paper and for the fact that they are so correct, and for their general look, you will be forever remembered". The year 1797 is also considered to be the founding year of the piano-teaching method "Nouvelle méthode de Pianoforte, contenant les principes du doigté", which he published jointly with the then famous pianist Jan Ladislaus Dussek (1760 â�� 1812).